Head over to Target for this great holiday deal! 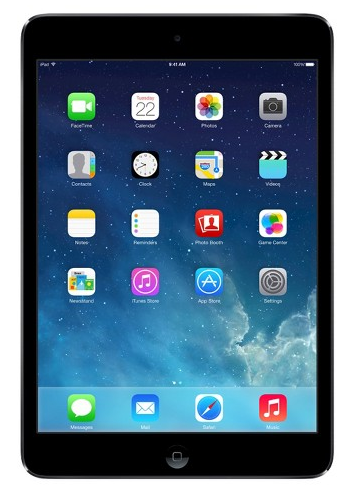 Get the Apple® iPad Mini 2 32GB with Wi-Fi in Gray/Black or Silver/White for Only $269! (Reg. $499!) Shipping is FREE or opt for FREE store pickup if you have a local Target store! The iPad Mini 2 weighs less than one pound, so it feels unbelievably light resting in the palm of your hand. It’s loaded with only the very best: a stunning 9.7-inch Retina display console with over 3.1 million pixels, a A7 chip with 64-bit architecture, ultrafast wireless, powerful apps, iSight and FaceTime HD cameras, and up to 10 hours of battery life on a single charge! Amazon currently has this for $300, Walmart for $319, and Best Buy for $320!